As a gospel worker, I have found this to be so true. Yes, the wine of Babylon has so intoxicated the Christian world that plain truths are often rejected, yet there are still precious souls who are honest, and seeking new light. We must patiently endure, sharing what we know, and trusting the Holy Spirit to open hearts. 1.) When truth is rejected, or when sin is committed, the conscious becomes calloused and hardened, until complete separation from God occurs. We must choose to accept and walk in all new light that shines on our path, before darkness and death overtakes us. 2.) When Christians unite together on truth, all denominational differences melt away, and true Christian unity exists. We see an excellent example of this with the believers from many denominations that united together in 1844. The purity and love of the apostolic church will be restored when the church once again unites together on truth. It was very interesting to read about the widespread and marked decline in spirituality and Godliness of the Christian churches following the departure of the Advent believers. These believers felt obligated to leave after they began to be discouraged, and even censored, from studying the prophecies of Daniel and speaking of their hope of the soon return of Jesus. The decline in true religion that followed their “exodus” was remarkable. I believe this is even further proof that God was leading in the 1844 movement. Those who accepted the message of that time were converted and brought closer to God, while those who rejected it were led into complacency and even apostasy. This reminds me of the state of Jews who rejected Christ at his first advent, and is a great warning for us today to never reject truth and light that God has made available to us. Think of times when you or others may have rejected something that was true because of who said it, or because it was unpopular, or for any other poor reason. Discuss then the only reason we should ever reject information (Isaiah 8:20: To the law and to the testimony: if they speak not according to this word, it is because there is no light in them.). Also, discuss the importance of hearing all advice and information, and honestly considering it (1 Thes. 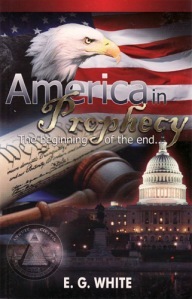 5:19-22: Do not put out the Spirit’s fire; do not treat prophecies with contempt. Test everything. Hold on to the good. Avoid every kind of evil). 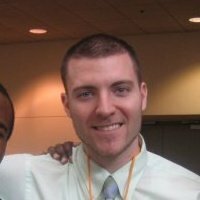 My name is Dustin Pestlin, and I work as a middle school math teacher in the Dallas Independent School District. I serve as Sabbath School Superintendent and Bible Worker Leader at the Richardson SDA Church. I have goals of one day becoming an evangelist and pastor, and am planning to soon begin a Masters Degree program in Pastoral Ministry from Andrews University. Growing up, I had the blessing and privilege of being raised in a Christian home, and being able to attend private schools. Although I did not grow up Adventist, this upbringing and the Christian principles it taught me have anchored me as I have grown older. I am thrilled at the work that lays before us in presenting our precious messages with the world. This entry was posted in The Great Controversy Project, Uncategorized. Bookmark the permalink.